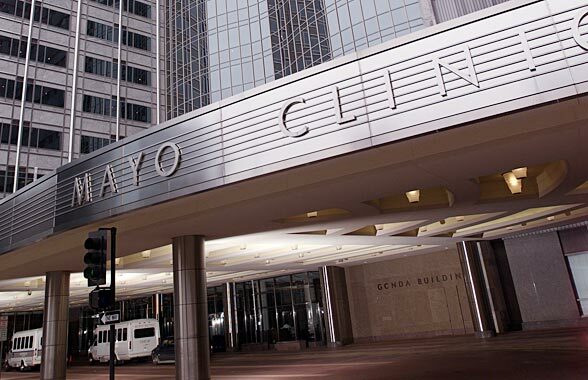 Although the Mayo Clinic facilities may not serve as a great model for other nonprofits, some of their practices might. After being hospitalized during a particularly severe bout, the doctor persuaded him to head to the Mayo Clinic in Minnesota. Four hours after arriving there, with zero new tests, his team of Mayo Clinic GI specialists figured out he was having an extremely rare allergic reaction to his blood pressure medication. They’ve seen only 15 other cases; it’s rare and new enough that there isn’t anything in the medical literature yet. One of the problems confounding the diagnosis: he’d end up in the hospital only when his symptoms were severe. His blood pressure would be unusually low as a result of those symptoms, they’d remove him from the blood pressure medicine, he’d feel better, and then after being discharged he’d start taking the drug again and the symptoms would return. How was it that the doctors in Minnesota were able to figure this out – a complex and extremely rare condition – in a matter of hours while countless doctors before them failed? A big part of the answer is that through their role at the Mayo Clinic, which is essentially a teaching and research hospital, they collectively see a huge number of patients with an extremely wide array of challenging cases. Their breadth of experience, and especially with difficult diagnoses, meant they’d simply seen a much wider variety of conditions than most and their diagnostic skills were sharper as a result. How does this relate to nonprofits? Most nonprofits don’t invest much of their intellectual capital or their resources into staff development, growing and stretching people through their tenure at an organization or over their career to help them become exceptional advocates and nonprofit leaders. Some of the best nonprofit folks incidentally end up with exposure to a wide variety of specific challenges and circumstances, and some figure out how to seek that breadth of experience out themselves, but most nonprofits could probably do a better job of deliberately exposing their staff to a wider universe of new challenges and difficult problems. This doesn’t necessarily mean someone needs to spend time working across different fields, moving through fundraising, program management, administration, organizing, and other departments. The GI specialists at the Mayo Clinic are truly specialists in a very specific field. But it does mean figuring out how to exposure your team to a wide variety of challenges within that field, making sure they are building up loads of real experience problem solving (problem solving skills) and exposure to a wide array of circumstances from which to draw when troubleshooting problems and crafting strategies (“maybe this time we could use that strategy we tried that other time combined with this new idea I’ve been thinking about”). A lot of nonprofit folks end up with this sort of exposure along the way, but I suspect most nonprofit managers could do a better job of deliberately making sure that their direct reports pick up a wide and challenging array of experiences.